The latest in Airsoft battery technology. 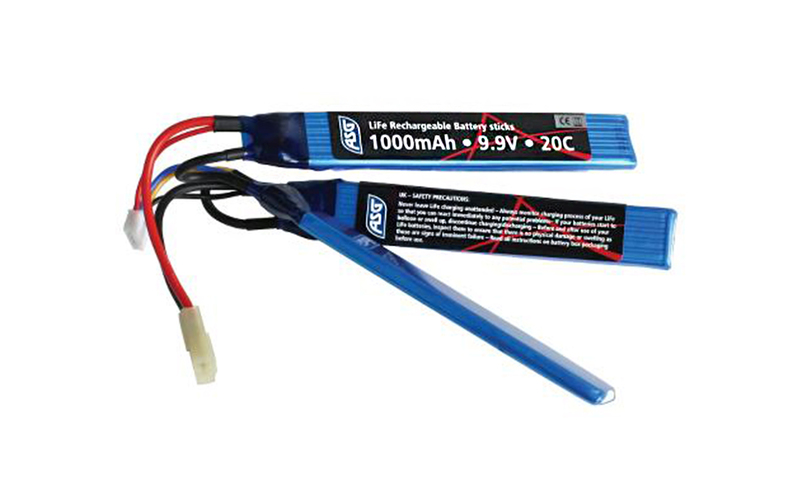 Li-Fe has a longer life cycle as well as better thermal performance (good performance in high and low temperature) than Li-Po battery does. During use in airsoft guns, thermal stability is very important, other batteries can get too hot to use. Another important factor is the 9.9V voltage. For most standard Airsoft guns, an 11.1V battery has too high voltage for the motors and the gears, and could ruin the gun. A 9.9V Li-Fe has perfect voltage for high performance Airsoft guns. Important: A Li-Fe charger must be used, we recommend ref. 17942+17943. IMPORTANT: you must use a Li-Fe charger, no exceptions.